If we were to go scuba diving in the waters of the Atlantic Ocean we could meet old warships, planes, tanks or train or underground carriages. All these means of transport, in fact, have been “deliberately” thrown into the ocean, but this time it is not an act of vandalism, but a work designed to foster the marine ecosystem! 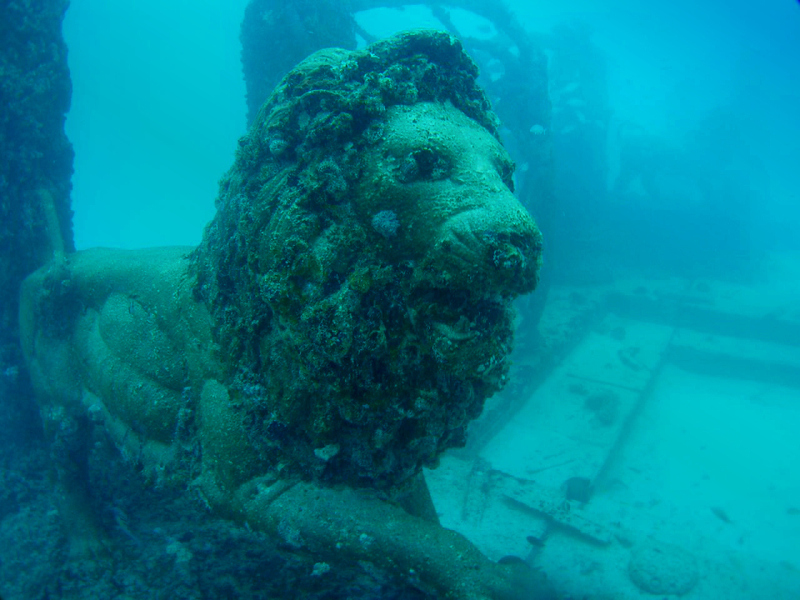 These relics, in fact, have become a paradise for scuba divers and marine organisms. They are important and very popular artificial reefs on the ocean floor, and play an important role: protecting the coasts, increasing marine biodiversity, attracting scuba divers and creating a new habitat for marine organisms. Therefore, throwing this type of scrap metal into the sea to promote marine life is not an extravagant idea or a contradiction, but works perfectly and especially marine species appreciate it! Artificial reefs are submerged man-made structures fostering marine biodiversity which, for example, hinder illegal trawling, increase shelters for fish nurseries and restocking, increase the substrate suitable for sessile marine organisms, facilitate the reproduction of fish species of economic importance, etc. Laying an artificial reef on a sandy or muddy bottom serves to recreate a natural rocky habitat that can attract fish. The effects are therefore both an increase in the overall wealth of the environment thanks to protection of the most sensitive biological stages of certain species, as well as the increase and diversification of the trophic component. To increase production nutrition must increase, feeding must be fostered, there must be shelters against predators and a favourable habitat for fry. Reefs are therefore very important for the nutrition of fish in protected areas, spawning grounds and nurseries. Artificial reefs can be of two different types depending on the objectives for which that are designed. Protection reefs are constructions used to preserve fish stocks, forming veritable dams arranged in a row or in isolated spots that prevent the passage of towing gear. These structures are built precisely to prevent bottom trawling. Trawling is a technique consisting of towing a fishing netseabedsea grass on the fishing netseabedsea grass, which is why it is very invasive. Trawl nets, in fact, destroy or remove anything they encounter on the seabed – fish, invertebrates, corals, algae, fishing netseabedsea grass – and leave a devastated environment where the original biotic communities can only replant after a very long time. In particular, Posidonia oceanica meadows can be totally destroyed with a single pass. By preventing the destruction of the meadows, the spawning areas important for fishing and the areas in which trawling is prohibited are therefore protected. These works are much smaller than those designed to produce fish stocks and have no cavities. Fish production reefs are built to increase fish stocks of species of commercial interest. The shapes of these structures are much more complex, full of holes and gaps and are bulky and large. The openings are adjusted depending on the species to be accommodated. The lower part can accommodate benthic species, i.e. that live on the seabed, such as shellfish. 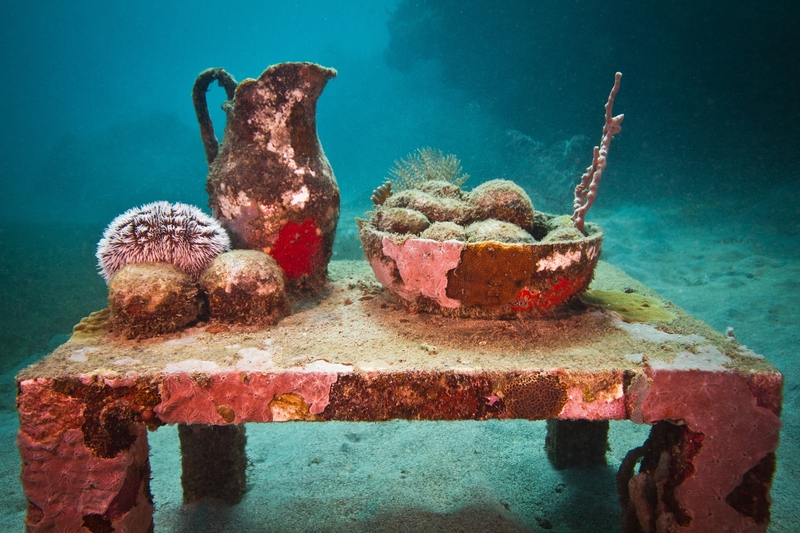 The construction materials of artificial reefs can be the most varied: car carcasses, metal structures, decommissioned ships, stone or concrete, the material certainly most widely used. Also the size, structures and appearance vary significantly. Generally they are modular structures consisting of several elementary units of limited dimensions, easier to transport and install. Exceptions are barriers consisting of shipwrecks or oil platforms. These modules can be put together in an orderly fashion, often in pyramids, or randomly scattered on the seabed. The modules usually have complex shapes, full of cavities and protrusions that create hiding places, dens or supports for marine organisms. Artificial reefs can be also arranged in groups, randomly or in regular lattices. The distance between one group and another varies according to the purpose for which the structure is designed. In the case, for example, of reefs that need to prevent illegal trawling near the coast, the distance must be less than the minimum size of the fishing gear to be discouraged. 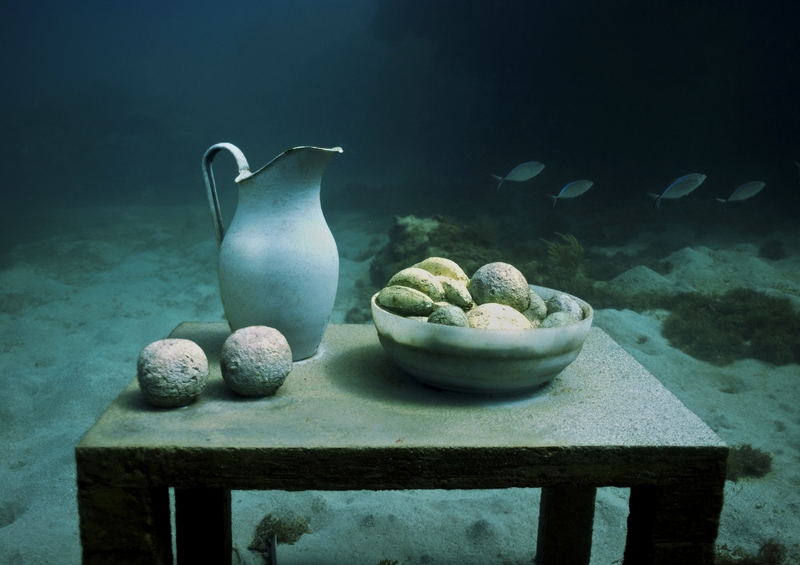 Here are some examples of artificial reefs in the world. 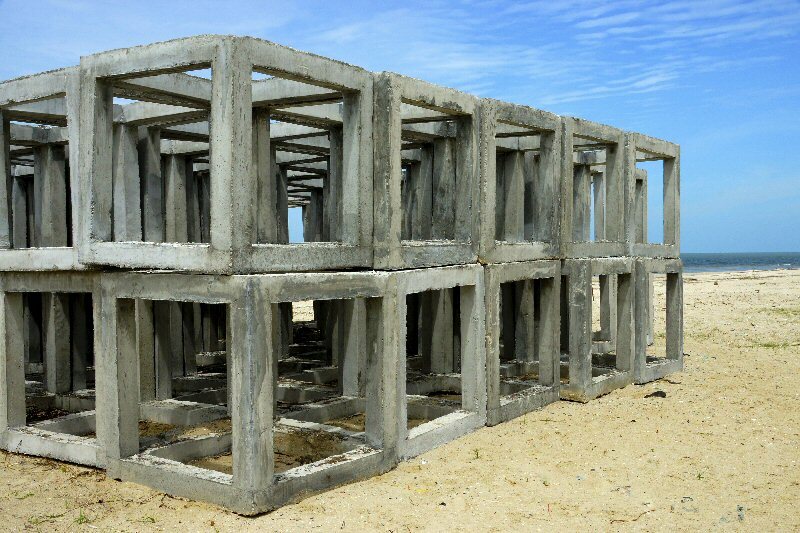 Artificial reefs consisting of modular structures. 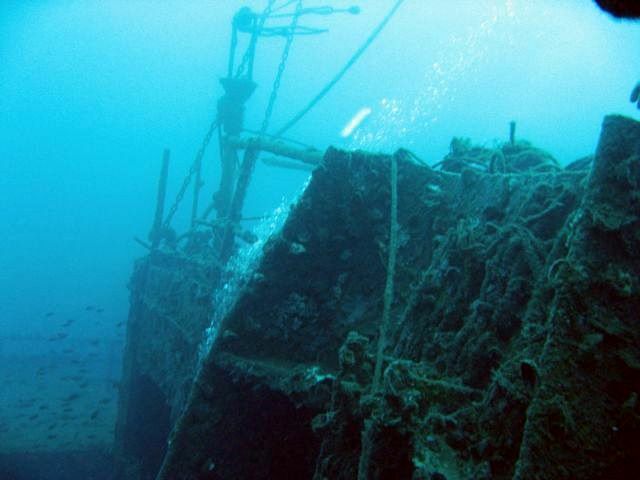 In 1991 as a result of an accident, the oil tanker Haven sank off Arenzano in Liguria. The wreck of the Haven rests on a sandy bottom on which, before it sank, there was nothing. 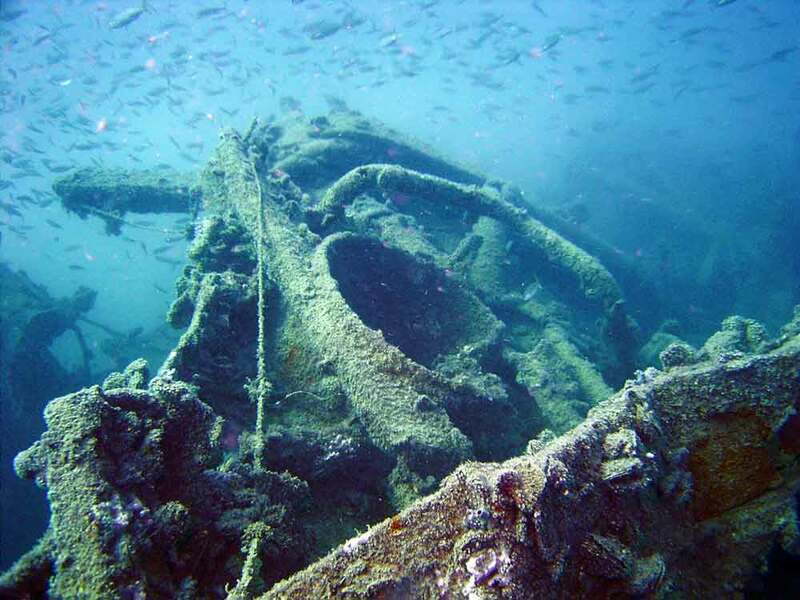 Currently the wreck of the oil tanker Haven is the largest and most beautiful scuba diving site in the Mediterranean. 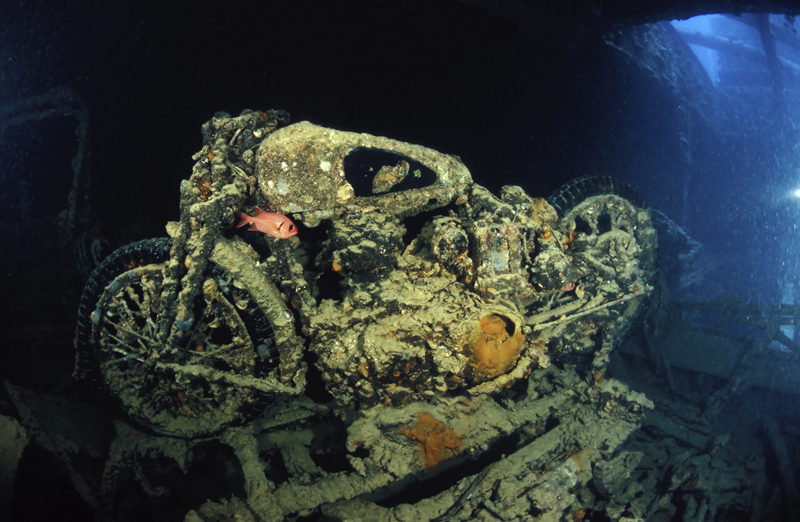 Since 2008, after the end of the reclamation and safety works on the wreck, scuba diving began to visit the wreck. Since 2001, 2,580 decommissioned underground carriages have been sunk in the sea off the East Coast of the United States to create an artificial reef and provide a new habitat for ocean inhabitants. The project was documented by photographer Stephen Mallonche for two years in every detail, step by step, from the cleaning of the carriages until their launch into the sea off the coasts of Virginia, Georgia, South Carolina, Delaware, New Jersey and Maryland. The carriages perfectly adapt to the ocean floor and quickly become dens and nurseries for fish and marine invertebrates. Desert marine areas thus begin to repopulate with life: mussels attach themselves to the ceilings, fish find crevices in which to hide and breed undisturbed and sponges grow on the surfaces. We hope that researchers and the entire scientific and environmental world support the opportunities offered by these artificial reefs that intervene on the marine environment to repopulate desert areas marine, understanding the ecological and economic significance.